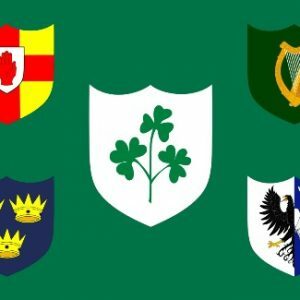 Six Nations Rugby Bunting Get your Large Flags, Small Flags, Table Flags,Hand Waving Flags & Bunting from Flagman.ie Ireland’s No.1 Flag and Bunting Shop. 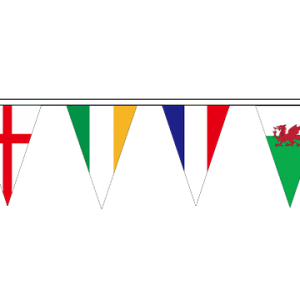 Decorate your Home or business with our great selection of 6 Nations Rugby Flags & Bunting. Rugby’s Greatest Championship will take place over seven weekends in 2019, beginning on Friday the 1st of February with a mouthwatering Wales vs France clash. 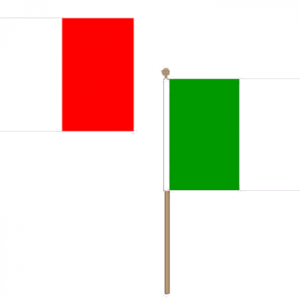 On Saturday the 2nd of February it’s Scotland vs Italy & Ireland vs England. The 2019 Six Nations Rugby finishes with a Championship ‘Super Saturday’ on the 16th of March.